Council center mandala: beans and flowers. Restorative Process Circle is a practice of sharing in our most authentic ways. Our Leaders are highly trained in this practice and have many years of experience with leading circles in many settings. Every circle is a co-creation of all its participants; in this way each council aims to be the right container for what is needed by the group. Each circle is unique; although there are shared guidelines used in almost all circle meetings, no two are alike. Speak from the heart: Speak not only with your head and ideas, but with your feelings. Share what is true for you based on your own experiences. When we speak from the heart we are aiming for eloquence, for choosing words that accurately communicate what we hold to be important. Listen from the heart: Try to listen without judgement; let go of stories that make it hard to hear each other. An open heart makes an open mind. Even if you disagree with what someone says, take it in before you react or respond. Speak Spontaneously. Wait until your turn to speak before you decide what you are going to say. Trust that the right words--or the right silence--will come to you when needed. Without feeling rushed, say just enough: Keep in mind the limits of time and making room for everyone to speak. This intention is also called “lean expression.” It is related to “speak from the heart” because we often find that when we speak carefully we can express ourselves with fewer words than we would normally use, and that when we do our words often have more impact. Welcome and expect different and contradictory points of view: Circles welcome and accept all points of view. We speak primarily into the center of the circle, where our diverse perspectives simmer together, and from where there often emerges a shared understanding or sense of purpose. There are specific techniques to lead successful meetings using these guidelines and the circle format. There are also many forms of circle that make it possible to adapt the format to fit the needs of the moment. We often combine elements of restorative dialogue with circle meetings to create exactly the right mix for the moment. Restorative process circles start with an intention or sense of purpose, and there is often an initial plan of how to begin. But each meeting has its own life, and part of skillful circle leadership is following where the members of the circle want and need to go. Always the compass needle is pointed toward the direction marked, "What best serves the needs of these people in this moment." Please contact us at 530-228-1994 to discuss your situation. 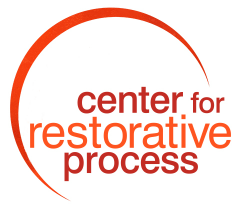 We'll help you assess if restorative process circles are right for you. We won't try to sell you on using council unless we truly believe it is the best (or one of the best) option for you.